We were commissioned to design and build a wheelchair accessible garden for our clients near Colchester earlier in 2015. 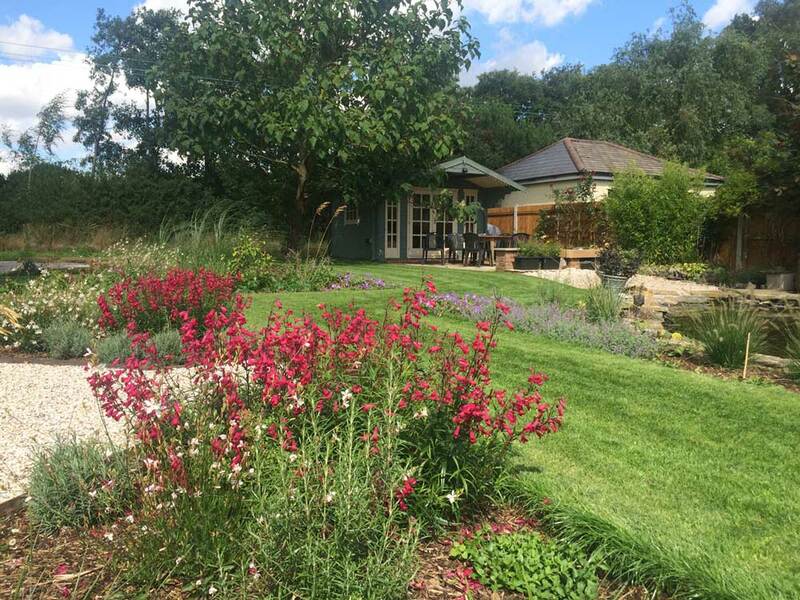 Aside from accessibility the clients brief was for a garden which created different areas and would encourage them to explore the garden and for a large vegetable garden to be situated towards the rear. The client had an existing pond and patio which they wanted to keep. 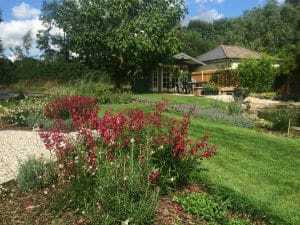 Our designer came up with a simple but very effective scheme which our clients loved and we got to work on the garden this spring. The old ditch was piped and backfilled making access a lot easier to the rear of the garden. We cleared the garden of all waste and started to level the uneven garden by grading the existing land. Next we set out the whole garden with string lines and spray paint. The client asked for a few minor changes as she thought it would make access with the wheelchair far easier. With all the changes set we started to install the steel edgings. Once the steel edgings are in we can now start to work on the gravel paths. We used NidaGravel matting to retain the gravel and also make travelling across the paths in the wheelchair easy. Once the gravel pathways have been laid we start to import soil to raise the lawn area the the top of the edgings. and prepare the borders for planting. 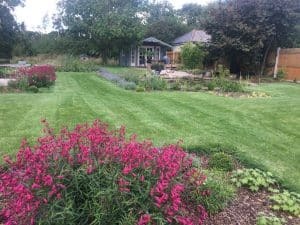 We used turf from Spearhead turf and sourced our plants from a few suppliers. 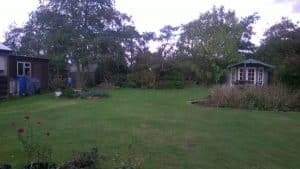 Are clients were so happy with their back garden we was asked to come back in the autumn to completely clear their front garden and driveway and install a new gravel driveway. 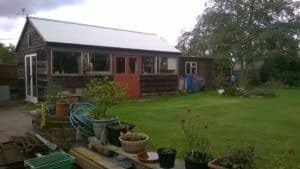 This are excerpts from a testimonial they kindly send us once we completed the garden. “Now every time we look out of a window we smile, as it all looks so good, it is difficult to believe it is ours. 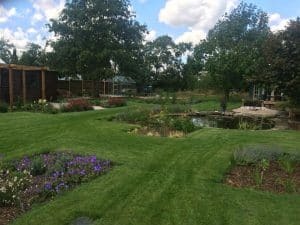 We have had lots of very favourable comments about the quality of the construction,your attention to detail and the planting scheme which already looks far more established than it actually is.